The PCF-8 protective case is the perfect production accessory for the ZOOM F4 and ZOOM F8 MultiTrack Field Recorder. 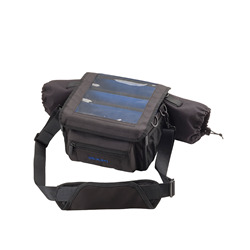 The lightweight and versatile bag offers top, side, and bottom access to the unit. With water-resistant construction and a removable clear-windowed cover, you can keep an eye on the bright F4/F8 screen without the risk of getting it wet or covered in dust. Drawstring sleeves on the sides allow you to access your recorder's inputs and outputs while protecting them from the elements. 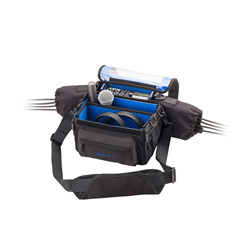 You can keep accessories and connectors in the zippered front pouch and side pockets while storing mics and cables in the main compartment. 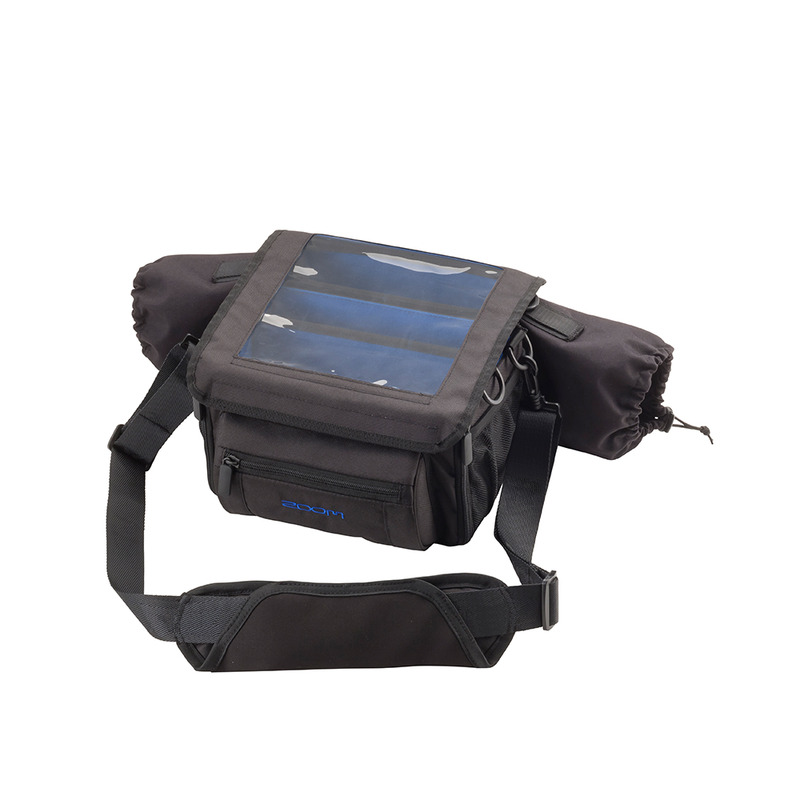 The bottom of your F8 is accessible through a velcro flap underneath the bag, which can also be configured for additional cable routing. 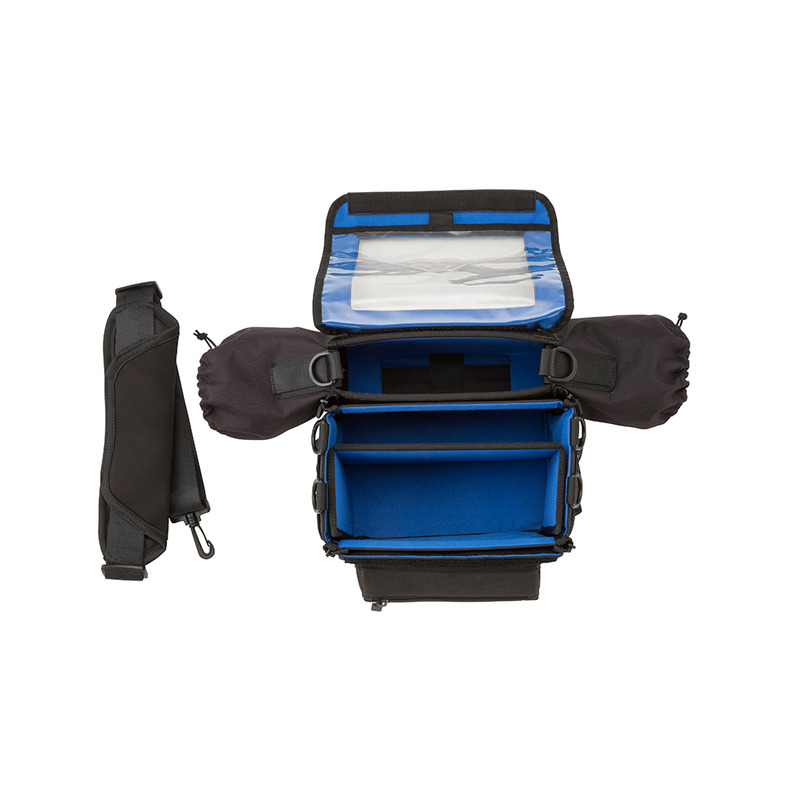 The PCF-8 includes adjustable dividers that allow you to customize your bag to the way you use it. The main divider can be pulled out and inserted sideways, which forms a “table-top” surface for working with your F4/F8 in the open. 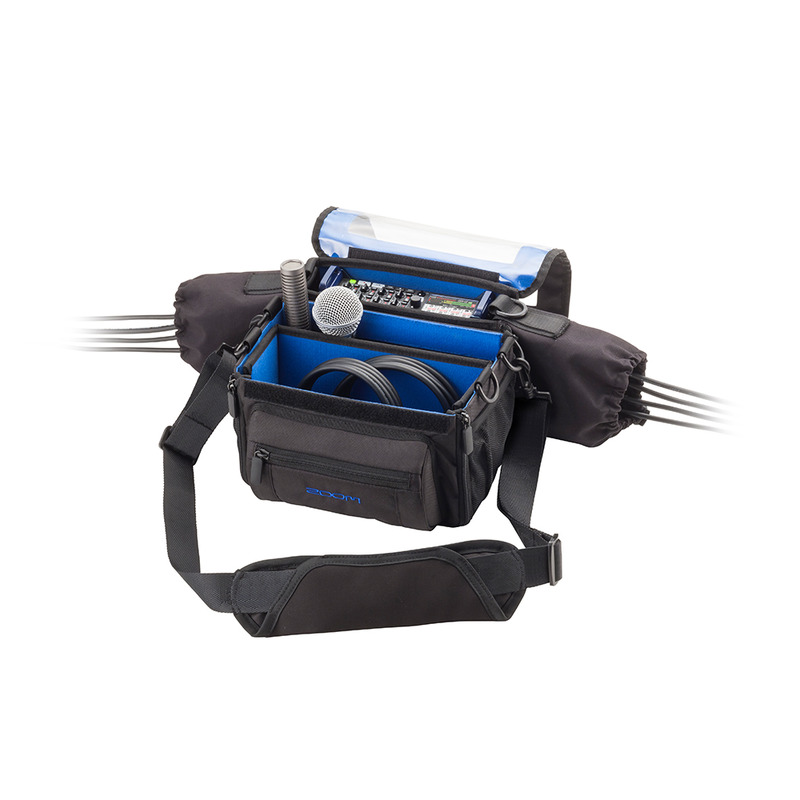 Adjustable straps and three latch hooks per side allow you to comfortably carry your F4 or F8 on long shoots and roving sessions.